How many of us will ever have the chance to work on these speakers ? The flagship 1236 SAM™ studio monitor is a masterpiece of modern technology, packing the most modern and intelligent technology into an extremely powerful, high performance tri-amplified main monitoring system. 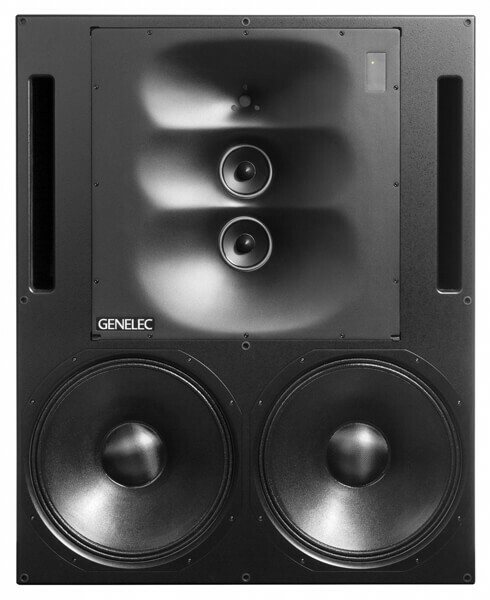 The Genelec 1236A SAM system and its individually calibrated Remote Amplifier Module RAM XL are designed to achieve extreme performance requirements for the most demanding recording and mixing environments. Designed to flush-mounting, the 1236A features a very large Directivity Control Waveguide (DCW™) providing extremely precise on- and off-axis imaging and neutral sound reproduction. State-of-the art AutoCal™ and GLM™ technologies allows to automatically align every monitor to the acoustic environment and to different listening positions. The 1236A is the highest reference and the most modern solution in main monitoring for music recording studios, film and video post-production facilities.